I doubt I’m the only person who sautes radishes, but I am the only person I know who does. When our garden starts popping these beautiful little spicy bites, I get excited. They are delicious when plucked straight from the garden and they have a peppery bite to them. Also the health benefits to radishes are many. If you’re interested in a little more information on the benefits of eating these little gems, check out 9 reasons to ‘Eat Your Radishes”. I like to saute them with onions and garlic. They become tender and sweet. The greens are also good for you and are great in soups. Sauté onions, sliced radishes and garlic in olive oil for about 5 minutes. Add salt and pepper to taste. Next add white wine and cook additional 2 minutes. Add broth and cook until liquid is reduced to almost nothing. I have to try this! 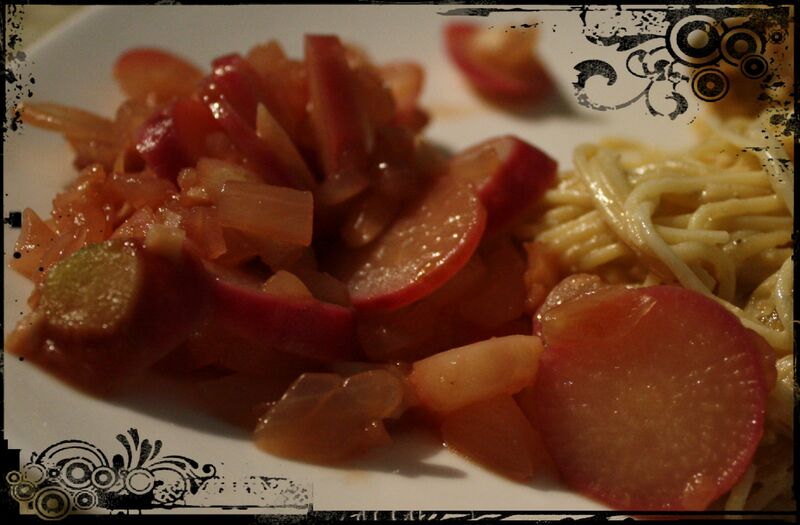 never have sauteed radishes! Totally worth it. I was young the first time I had radishes and wanted to make them palatable for my young taste buds.